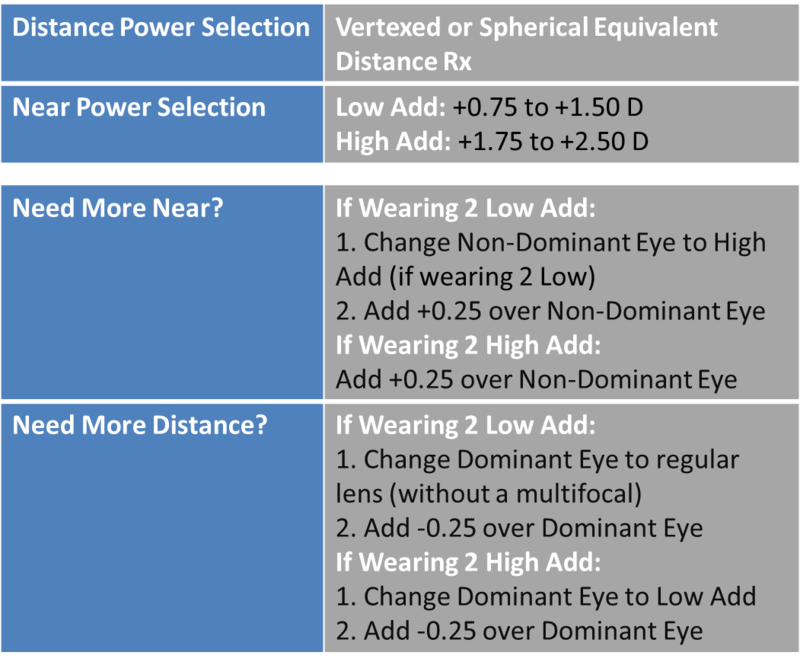 We've been fortunate in our industry to have several new multifocal contact lenses to launch in the past year that are offering significantly better optics for patients with higher reading needs. Both the Clariti 1-Day Multifocal and the Acuvue 1 Day Moist Multifocal are fantastic lenses. But we haven't had new innovations in a monthly multifocal contact lens material in quite some time. 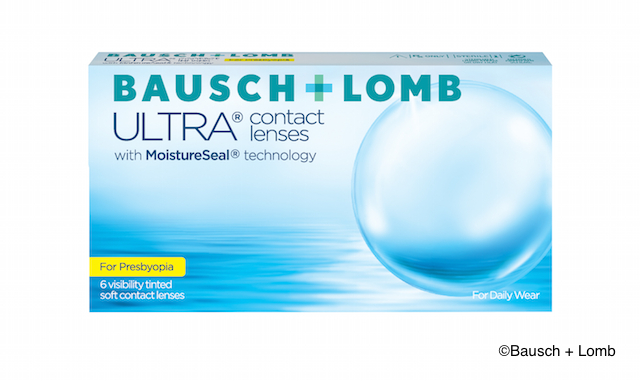 Enter Bausch and Lomb's Ultra for Presbyopia. Built on the extremely comfortable Ultra monthly lens platform, the lens utilizes a 3-zone progressive multifocal design with a near center, gradually transitioning lens space to distance, reading, and intermediate zones. 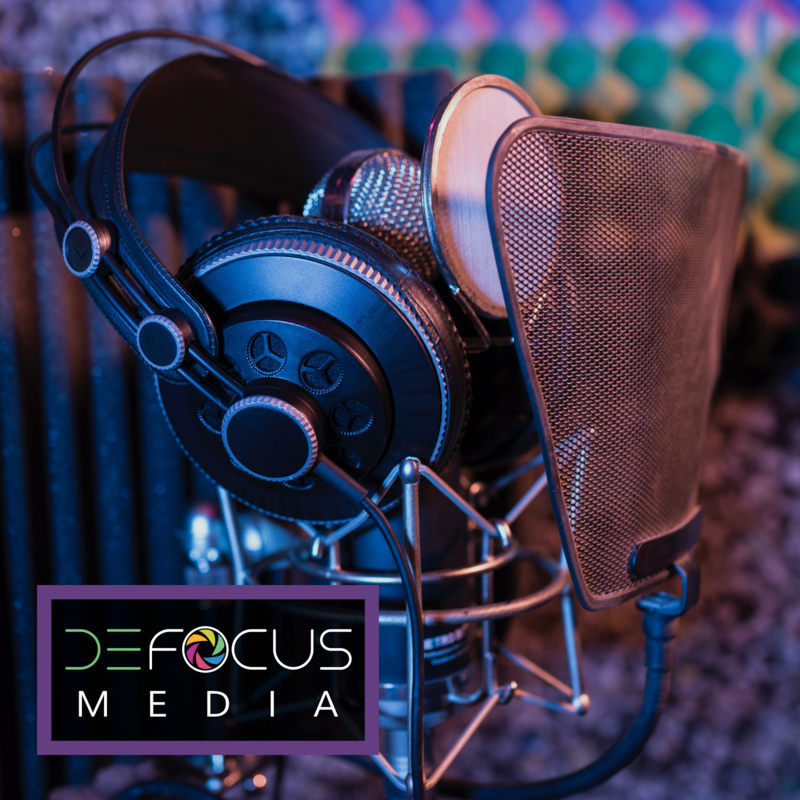 The lens also has aspheric optics for enhanced distance vision and improved ability to compensate for low amounts of aberrations or astigmatism. On a personal note, many doctors note the steeper base curve of the Ultra lens as a potential issue for proper fit on patients with flatter corneas, but I have found that steeper base curve lenses can enhance visual acuity in multifocal lenses (the C-Vue Multifocal lens was almost always superior in the steeper base curve than in the flat). 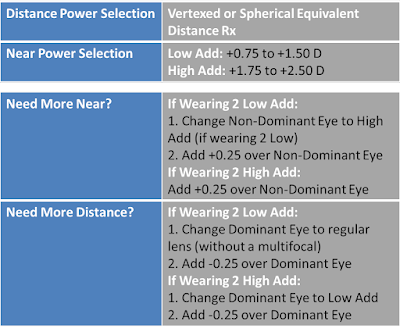 As long as the lens isn't fitting too tightly to be a health risk for the patient, the stepper base curve of Ultra may also be one of the advantages this lens has over it's competition for better visual performance. 1) Determine dominant and non-dominant eye by introducing a +1.50 lens over best corrected vision comparing one eye and then the other. The eye that can't take the plus is the dominant eye. 3) Like all multifocal lenses, Bausch and Lomb recommends letting the lens settle for about 10 minutes before checking vision, and dispensing the lenses without enhancement for more distance or near if possible on the first visit to give time for the brain to utilize the new technology. What are your experiences with Ultra for Presbyopia? The lens is brand new (just launched in March 2016) so if you are trying the lens out now as a doctor or patient, the online community that struggles to find a solution for their presbyopic changes needs your feedback!